An infographic explaining a new student's journey through University. An infographic created for Brookes Union to share with new Oxford Brookes University students for 2014. 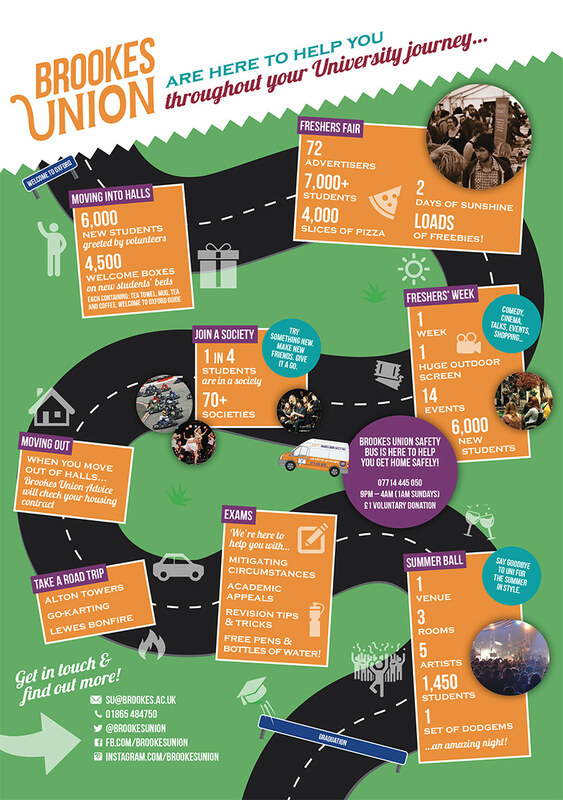 It shows the typical student journey through University, along with several points at which Brookes Union help out with their offers, events and services. It's designed to make a lot of information easily digestible in a fun layout.